My trip to Montana yielded quite a few adds to the stash. 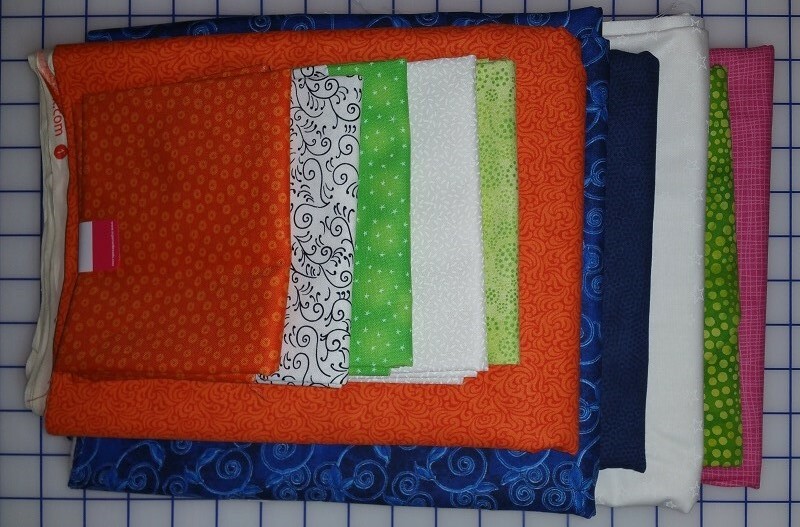 There are some great quilt shops up north! Our first stop was Superior Threads in St. George Utah. 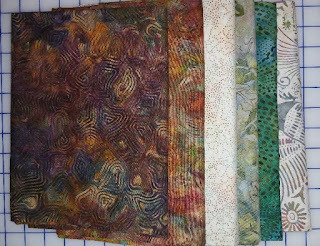 I was hopping to pick up some cones of thread for my Longarm, but didn't realize the thread warehouse was closed on Saturdays. 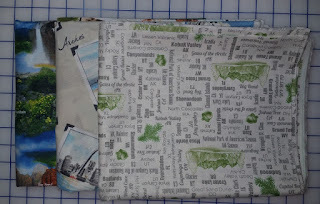 All was not lost, as the fabric store was open! Our next stop was in Seeley Lake at Deer Country Quilts. This shop is huge and in a beautiful rustic building. 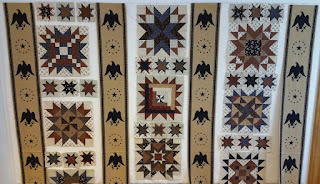 The owner Pam Rose is in the process of selling the building and quilt shop and is hoping to find a quilter that wants to buy. 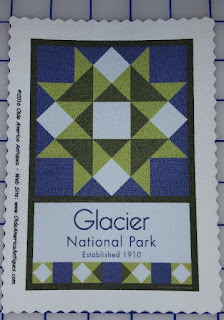 On to Kalispell and The Quilt Gallery, where I picked up the great National Parks Fabrics below. 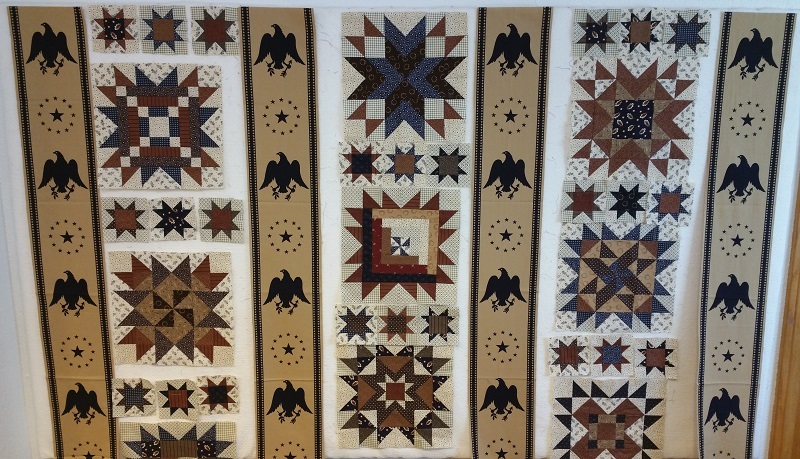 The Quilt Gallery not only has lots of fabric and notions, but they also have many finished quilts for sale. 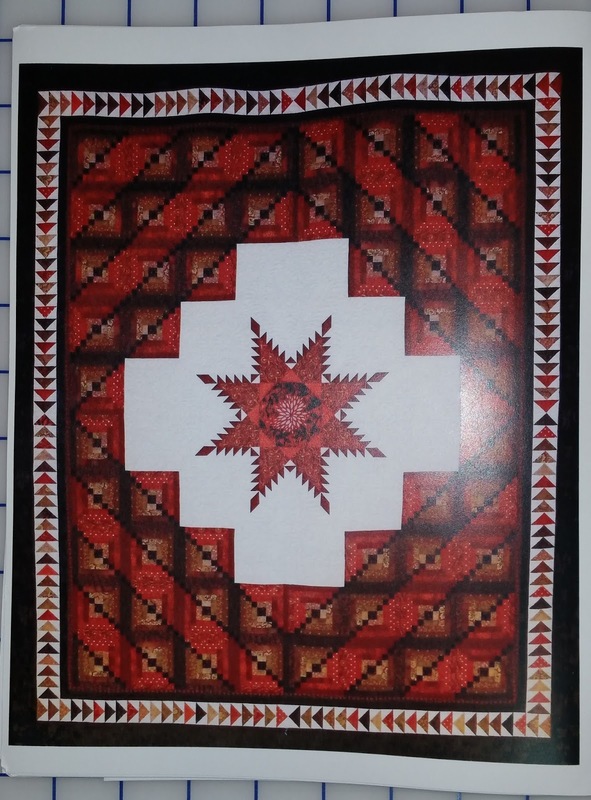 I also picked up the pattern below called Big Sky Montana Memories- I love the feathered Star! Gwen Carreon Designs. 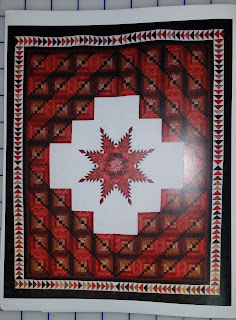 She lives and works out of her home in Whitefish, Montana and has some beautiful applique designs. Check out her website above. 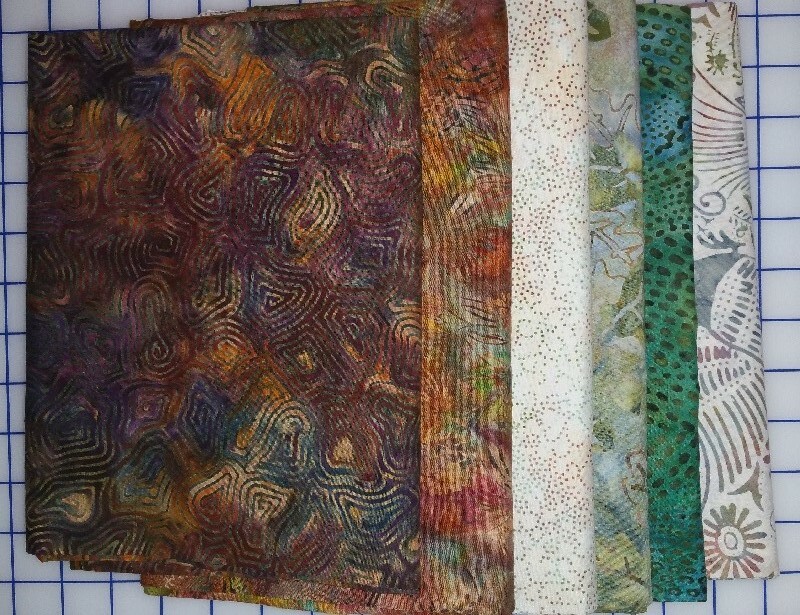 She was also clearing out some great batik fabrics, so found a few below to take home with me. Last stop on this trip was in downtown Whitefish at Whitefish Quilts. 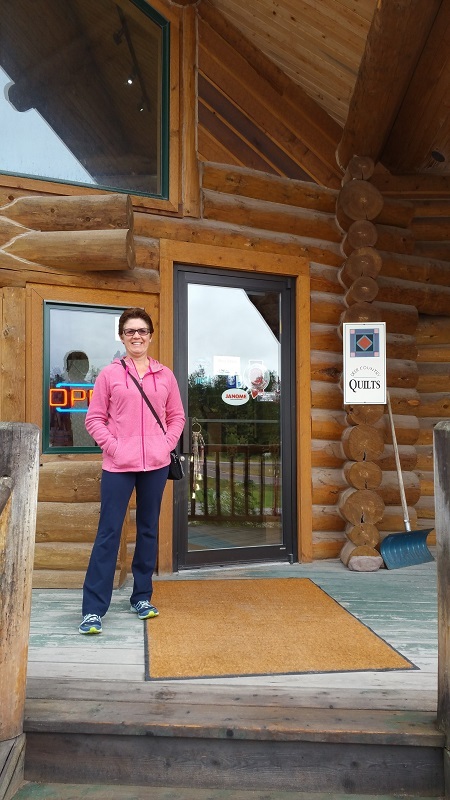 This is not only a quilt shop, but also a gift shop with all things Montana. 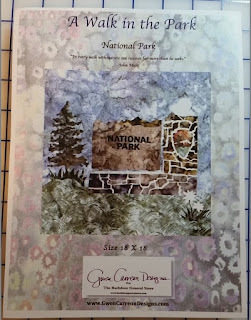 It was fun to browse through and I picked up a kit below and a Glacier National Park Quilt block. 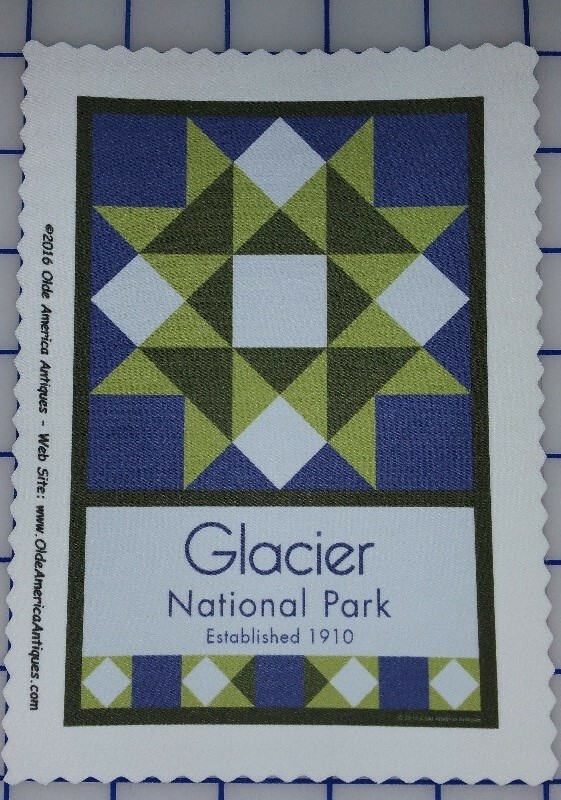 This is a series of quilt blocks by Olde America Antiques to commemorate the 100th Anniversary of the National Parks. I am hoping to collect a few more from all the parks that I have visited. No finishes this week- only adds! This has put me in the red for the year, but a couple of finishes are on the horizon! 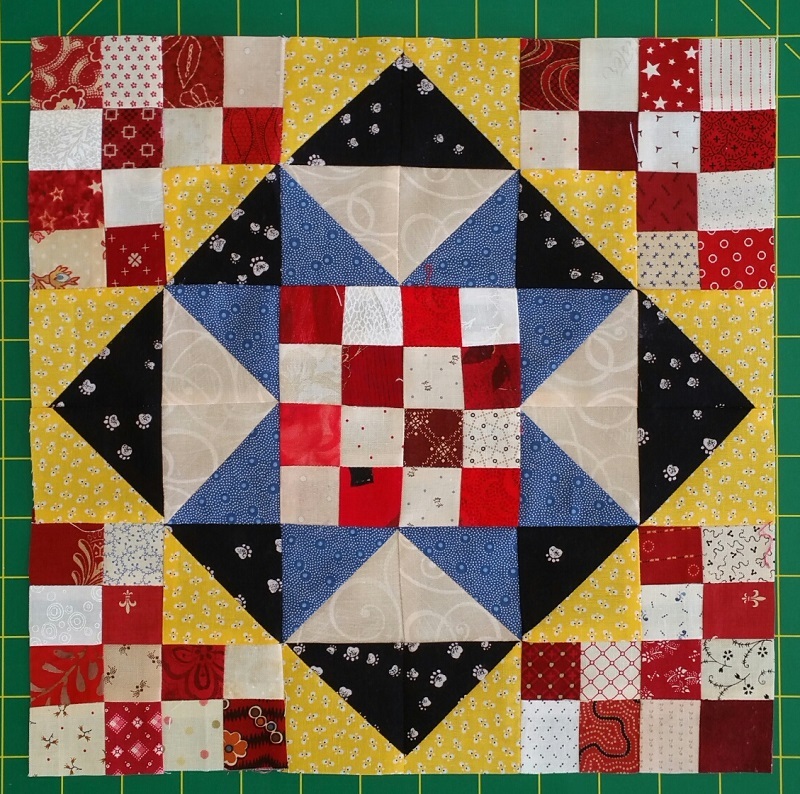 Check out more reports at Patchwork Times and have a great week! 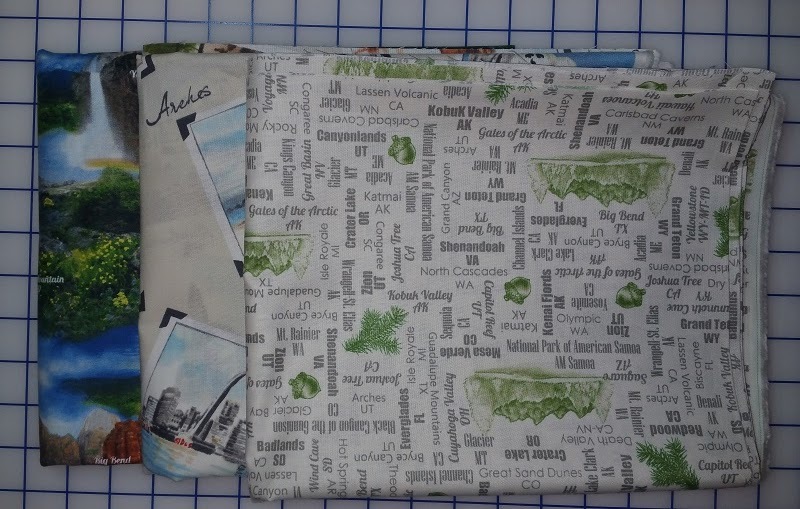 It has been a busy couple of weeks, with an 8 day trip to Glacier and back to work this work, I have had hardly had a minute to post anything, and not much sewing done either. 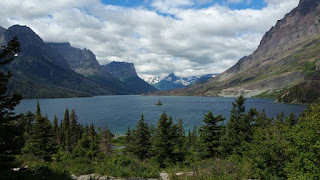 More on my trip to Glacier- especially the quilt shops in my next post. Now that I am back in action, I have Freedom Rings on the Design Wall. It is ready to assemble, so should go fast and will be a finish for July! I need a finish badly, after all the shopping while on vacation! After Freedom Rings is done, I will be back to Winston Ways. Have a few more blocks to finish up and then final assembly! 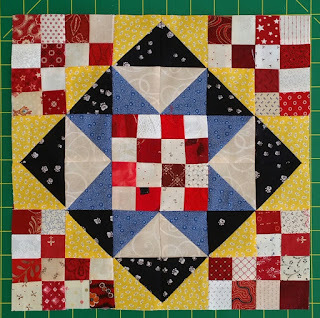 Enjoy the rest of the week and check back soon for the updated stash report, You can see more design walls at Patchwork times. 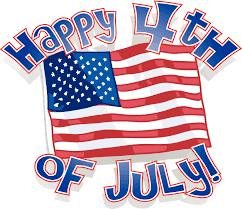 Hope are all enjoying your Fourth of July. 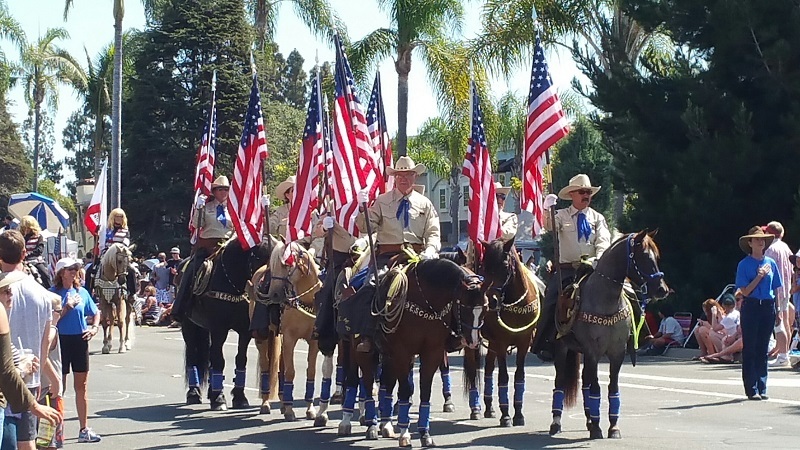 We spent the morning, like we do every year, on Coronado Island for the Parade. Got up early and headed over at about 7 am for breakfast. 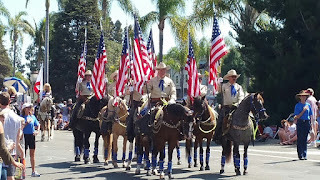 Parade started around 10am, with lot's of recognition for our Armed Forces! Design Wall this week continues with Winston Ways. 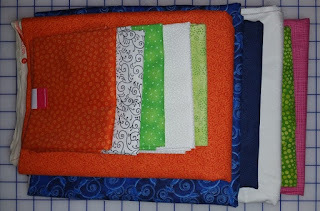 Have about 20 more of these blocks left to make before putting the quilt together. You have to really pay attention to the orientation of the four patches so they are all going in the correct direction, ask me how I know! Did a bit of ripping on a couple of the blocks, but I am taking extra care to make sure the rest are correct before sewing.